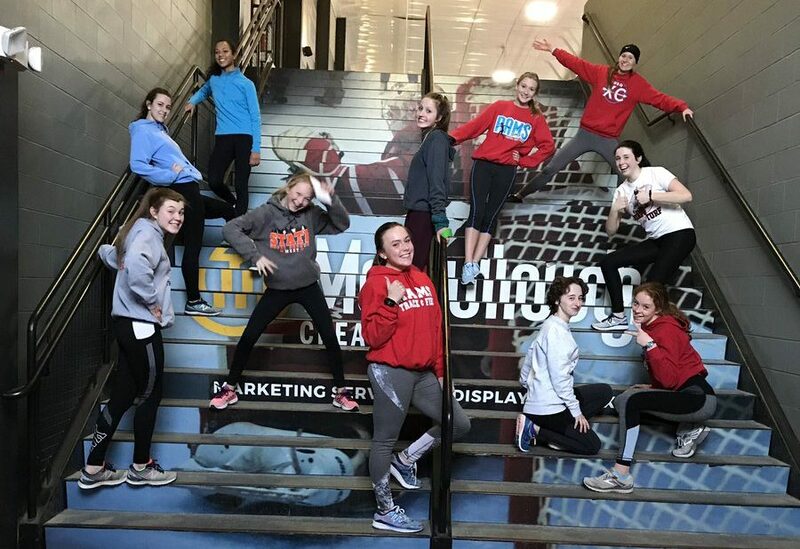 As Girls Track and Field moves into outdoor season, indoor season comes to a close after several meets at the University of Dubuque. Goodbye, hallway sprints, and hello, actual track! Overall, the girls placed 5th at the UD Classic on Friday, March 15th. The JV team placed in 8 events, including a second place finish for the 4×800 relay team of Grace Ries, Stacey Kloft, Josie Stackis, and Lily Balayti and a third place finish for the Distance medley team of Allison Morgan, Jennifer Bardon, Alesha Veach, and Stacey Kloft. The girls’ next meet is Saturday, March 23rd at the University of Dubuque. The varsity team also had a strong showing, including not only winning and high placements, but a new school record by Claire Edmondson in the 1500m run.